I've never been much of one for planning what quilts to make. 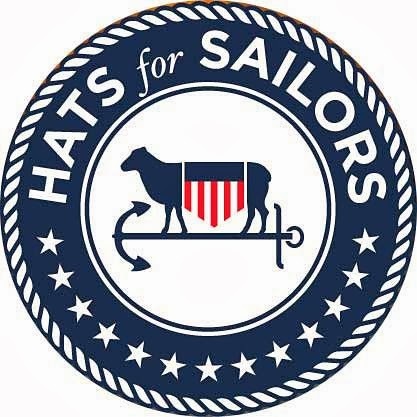 But now that I have a "real" job, I realize I will need to schedule my sewing time! more or less in the order I intend to finish them. UFOs are projects that have been actually started -- not just cut, not put together as a "kit," but actually partially sewn. Sometimes mostly sewn. Then, I pulled out the "kits" I want to sew this year. Jen Kingwell's "Gene Pool." A belated 25th Anniversary prezzie for my nephew and his wife. Another Jen Kingwell pattern, "Stardust." Donna at Ruth's Stitchery cut a half-yard of the entire JK line for me, so I'd better sew it up! Carolyn Friedlander fabric to make "Meter Maid" from Abbey Lane Quilts. Tula Pink "Fox Field" mystery from 2011. I forgot I had this until I went stash-diving, looking for quilt backs. Denyse Schmidt pattern. Included here to remind me that I have an enormous stash of DS fabrics, and I want to make something with it! Fab Five kit of an early Sweetwater fabric line, "Sunkissed." My favorite Sweetwater collection. Plus, Abbey Lane introduced a new ruler to make the Fab Five quilt even easier. Batik "Run With Rectangles" kit from Granny's Attic in McCall, Idaho. I love Lori's kits, because they're already cut and ready to sew! Two "Lover's Lane" by Villa Rosa Designs lap quilt kits. three fabrics, one afternoon, and they're done! Plus three more kits to select at a later date from my extensive collection of kits! Because so many Blocks of the Month (BoMs) wind up in the UFO bin, I'm only allowing myself to start one (1, that's ONE!) BoM this year. 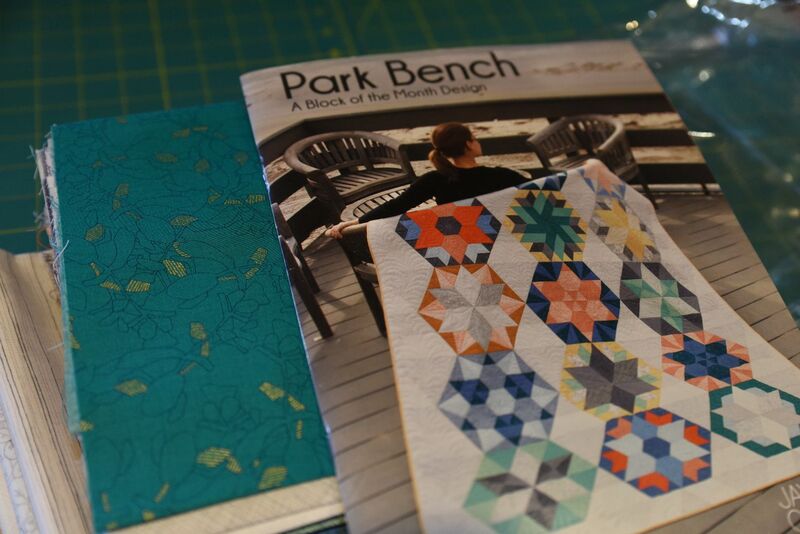 It will be "Park Bench" by Jaybird Quilts. The fabric in the kit is "Botanics" by Carolyn Friedlander. This quilt will also be Second WEdnesday block party at Ruth's Stitchery. 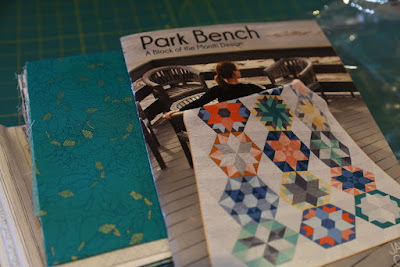 I have two other BoMs still on the BoM list, Jackie Robinson's "3D Patchwork" and Marti Michell's "Bordered Rows." 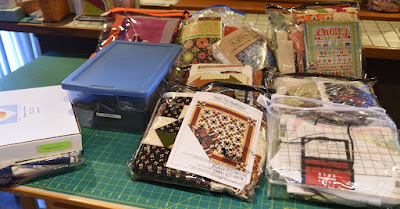 Add to this the twelve Jelly Roll Party samples, and I have scheduled 36 quilts for 2016! I'll share the Jelly Roll pattern list on Friday, January 8, when I share the first JRP sample of the year. Wow!! That's quite a list. You can do though! What a great idea to post it on a white board. It's right in your face whenever you enter your sewing room. Good luck with finishing your list. You can do it. 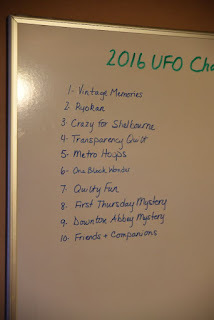 I keep a printed list of all my UFO's, kits, ideas, projects I want to do. 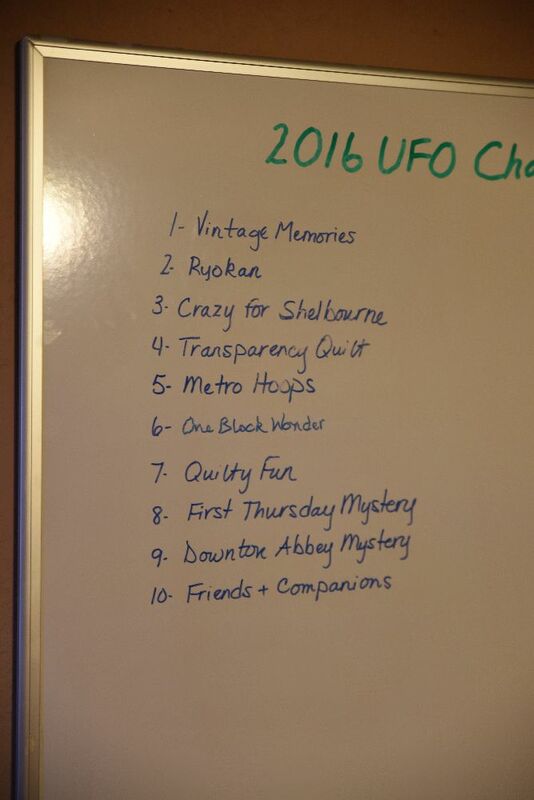 The top 10 are my UFO's and the rest is just to keep track. I love it when I get to cross something off. Still in the process of getting that organised this year but now that I've read the UFO post I think I'm ready to go as I was one UFO short! Just need to get it all tidied up and print out a new list for 2016. Good luck with your list. You have set up very ambitious goals for yourself. Good luck! 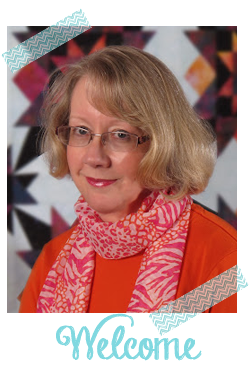 I look forward to reading about your sewing/quilting adventures this year. Oh it will be fun and I'm sure inspiring to watch you progress. 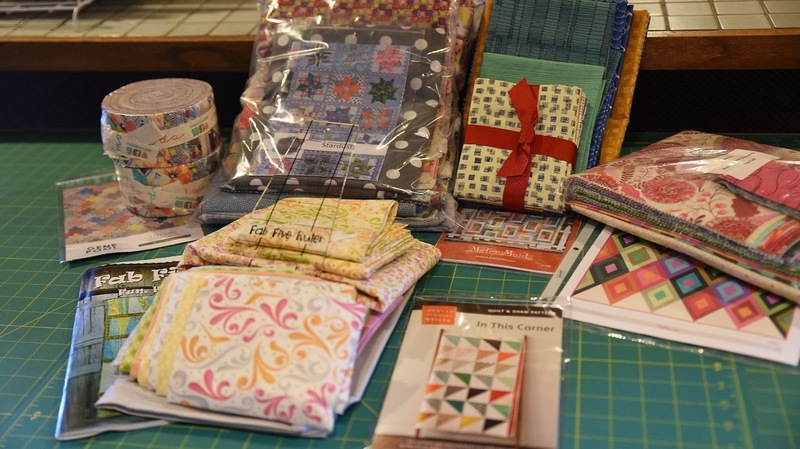 Enjoy your quilty journey! I love all the zip-lock bag organisation here!